Dank Street Depot & Jared Ingersoll. These names are synonymous with great food, passion and quality. 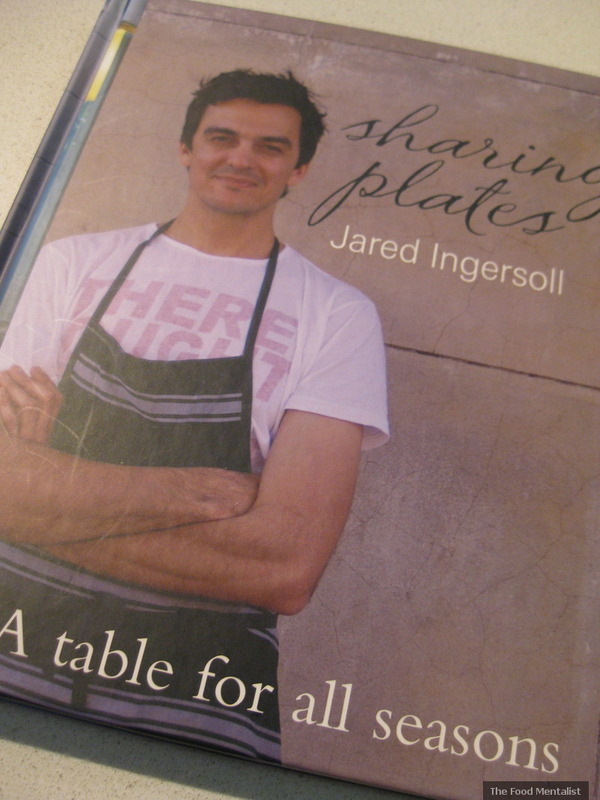 So one weekend after Pete and I had finished our morning coffees and eggs at Dank Street Depot, I decided it was about time I purchased Jared's newest cookbook 'Sharing Plates' - A table for all seasons. This cookbook is a must buy for all lovers of good food. The recipes are not over complicated and use some fabulous ingredients, the flavour combinations are superb. Each recipe is really well set out and easy to follow, I also love how Jared has included a guide for how many the recipe caters for. His recipe for chickpea puree is 'for eight as a nibble'. There are also some handy recipes like how to cook quinces as well as 'A nice way to roast a leg of lamb' and 'How to cook the perfect fries'. I've really enjoyed cooking from this cookbook and look forward to the dinner parties and family get togethers' we will have over the next few months when I can test many more of the recipes in this cookbook. So that brings us to the recipe for The Best Chocolate Cake - after seeing it required 10 eggs and half a kilo of chocolate I knew it was going to be good! And GOOD it was! Preheat oven to 205'C ( 400'F/Gas 6). Prepare a 22cm (8 1/2 inch) spring form pan by rubbing with a little butter and dust with flour. Have ready a lightly greased ( but not floured) flat ovenproof dinner plate that will be large enough to sit over the edges of the cake tin. Put chocolate and butter in a heatproof bowl, then place over a pot of simmering water not letting the base of the bowl touch the water. Gently melt the chocolate. While this is happening, separate the eggs placing the whites in a large bowl and the yolks into a smaller bowl. When the chocolate and butter is melted, add a pinch of salt, stir well and remove from the heat and allow to cool slightly. While this is happening, start to whisk your egg whites. When they have formed soft peaks sprinkle sugar over them and continue to whisk for another minute or so until the sugar has dissolved and the whites take on a nice shine. Now add the flour to the egg yolks and mix thoroughly. You now need a clean large bowl in which to mix everything. 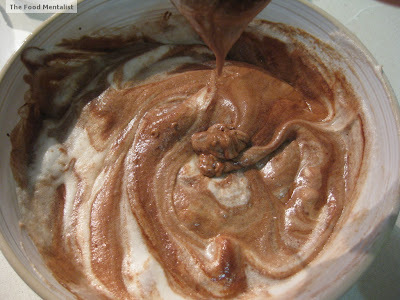 Start by pouring in the melted chocolate mixture, then, using a whisk, beat in egg yolks and flour mixture really well. Next, using your hands ( yes your hands), fold your egg white mixture into the chocolate, one-third at a time, being careful to combine everything, but do not overwork. Working quickly, pour the chocolate batter into prepared tin, then place into the oven for 15 minutes. After 15 minutes gently place the greased plate, greased side down, on top of the cake tin ( by now the cake should have started to rise) and put the tin back into the oven for 12 minutes. Once the cooking time has finished resist the urge to lift the plate ( but if you do and the cake looks unset and runny, don't panic, this is what it is supposed to look like) and place the cake in its tin, still covered, on a wire rack and leave in a cool place for at least 24 hours. Serve the next day with fresh tart berries and cream. Your cake should have the texture of a smooth and exotic pate. 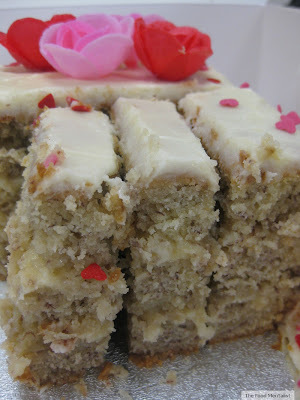 Do not place the cake in the fridge as it will sit at room temperature for about 2 days. Hint: Make sure you reduce the cooking time by 5-7 minutes if your oven is fan forced. When I made this the first time I found that I didn't get that pate consistency as my oven is fan forced and as you all know this speeds up the cooking process. I found that reducing the cooking time slightly will accommodate for this. That said the first time I made it, it was super moist and delicious. I took it over for our monthly family dinner at Nan's place and everyone commented on how good it was. Yummy Erin, all that's missing is a glass of milk to enjoy with this cake. Oh my gosh the book sounds great! Love the creativity... Might need to buy it before the jelly challenge is over! Haha Watermelon smoked ribs??? Yes please. The cake looks great too! 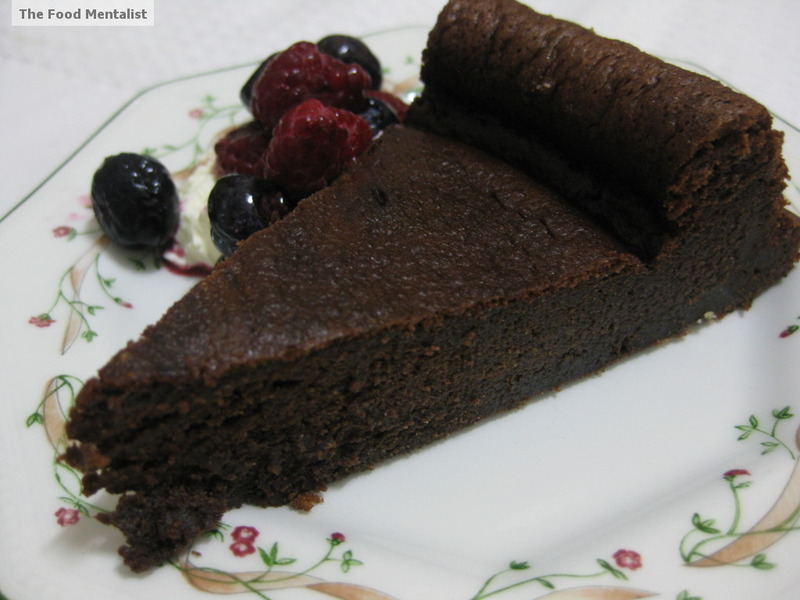 Irresistible rich dark chocolate cake here! I have saved this one, looks like it may live up to its name-yum! The chocolate cake looks fabulous but now I'm going to have to go out and buy a copy of the book because I'm dying to know how you smoke ribs in watermelon - sounds intriguing like a lot of his recipes. Wow, that chocolate cake looks seriously good :-) Love the idea of rhubarb mojitos too, yum!